Player of the Match : Shakib Al Hasan (Dhaka Dynamites). 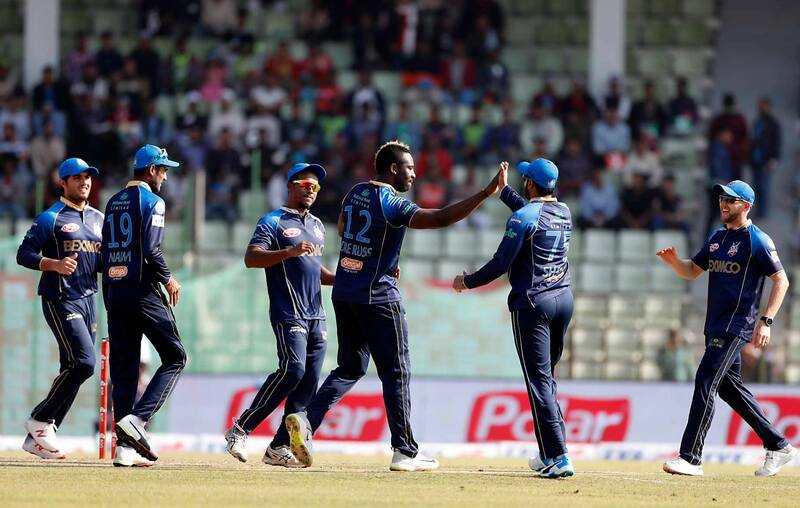 Captain Shakib Al Hasan leading from the front as Dhaka Dynamites sealed a clinical 6-wicket victory over the hosts Sylhet Sixers at Sylhet International Cricket Stadium, Sylhet. Following the win, Dhaka remained at the top of the points table with 10 points from 6 matches while Sylhet remained at the sixth spot with 4 points from 6 matches. Liton Kumar Das started off the Sixers innings with a quickfire 27 off 14. But Dynamites bowlers have slowed down the run-rate by picking up couple of wickets in the middle overs. Sixers skipper scored his second fifty in a row to power his side to a formidable total. He was well supported by Jalker Ali who scored 25. Warner was dismissed after scoring as Sixers posted 158 for 8 in 20 overs. Birch bagged 3 wickets for 42. Chasing 159, Dynamites lost their both opener Mizanur Rahman and Sunil Narine early. Rony Talukdar too got out cheaply. But a determined Shakib along with Andre Russell have ensured an comfortable win with 6 wickets and 3 overs in hand. Player of the match Shakib was unbeaten on 61 and Russell was on 40. Mohammad Irfan scalped 2 wickets for 38 for the Sixers.